At MSWP, we offer a dynamic and fulfilling educational environment for children ages 15-months to 6 years. We make it easy to apply for one of Denver’s best primary educations. Just follow these basic steps. 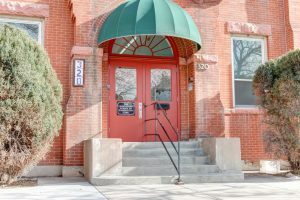 Contact us at 303-722-7708 to ask questions and arrange a tour. We are full for the 2018-2019 school year, but are taking applications to be on our waitlist for the 2019-2020 school year for the Primary Program ONLY. Pickup the MSWP enrollment application. Submit your completed enrollment application, with previous school records (if applicable). An MSWP representative will walk you through the process, answer any questions you may have, and provide names of alumni parents who would enjoy speaking with you. Once an admission decision has been made, we will mail you the appropriate enrollment forms. Due to an overwhelming waitlist, MSWP has suspended tours for our Toddler Program for the foreseeable future. We don’t expect to have enrollment openings until fall 2021. Enrollment is year long in TC, as a child ages out they are moved in to the Primary program, so enrollment is on going and spots are filled directly from our waitpool by age and gender. Our enrollment period for Primary is Nov-April each year, we begin a new school year every August. We encourage tours and applications a year in advance of your target enrollment year for three-year old students. Please call to tour. We would love to show you our wonderful Primary Community!